We found DatAchieve simply by searching other websites for a design that was interactive, simple and overall attractive. We landed upon the Maryland Craft Brewer’s Association’s website. I saw at the bottom that DatAchieve had designed their website so I decided to contact them. Not only were Norma and her team extremely quick to respond to any questions I had during the process, they produced a website that was even better than I had hoped it would be! They have been excellent to work with, very timely and overall competitive in pricing. If you are searching for a branding and web development company, you’ve found the one! 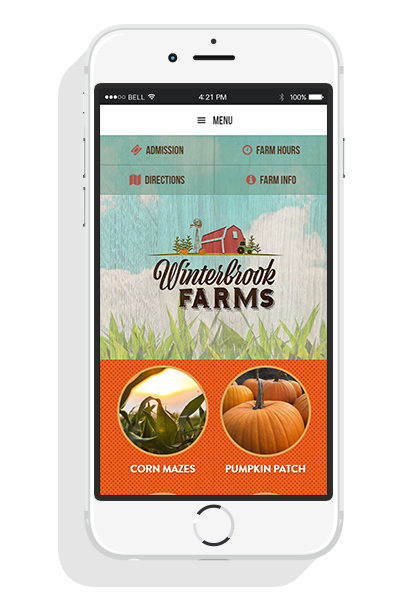 Still a family-owned, working farm, Winterbrook needed a way to more easily leverage its website to attract new visitors and be found by young families who use mobile devices to find events and attractions. Launched in 2016, the previous winterbrookfarmsmd.com website was unappealing, difficult to edit, and did not adapt for viewing on mobile devices. The site also lacked the tools necessary to effectively promote Winter Brook Farms in today’s social media environment. DatAchieve Digital rebranded Winterbrook Farms with a new logo and color palette, and an attractive, updated website that uses the WordPress content management system. The new site features a calendar of events, integration of social media, email marketing list building tools, and the ability to publish directly from the website to the Winterbrook Farms social media pages and email lists. The site also includes a responsive design that adapts to fit the many mobile devices being used today.